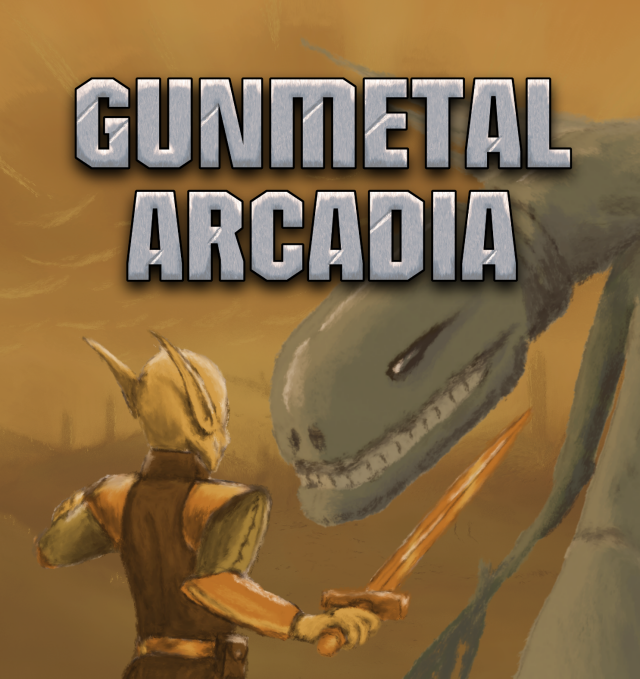 Gunmetal Arcadia‘s long-term structure takes cues from modern-day roguelikes and their derivatives, emphasizing replayability across multiple bite-sized sessions, while Gunmetal Arcadia Zero focuses on classic action and skillful play across a number of handcrafted levels. The Gunmetal Arcadia titles feature the latest and greatest version of the world-class CRT simulation previously seen in the developer’s freeware indie hit You Have to Win the Game and its sequel Super Win the Game. You can read more about the technology behind this aesthetic in this Gamasutra blog post. Gunmetal Arcadia Zero was released in May 2016 as a Humble Original and was given a wide release on November 1, 2016. Gunmetal Arcadia is scheduled for release on February 7, 2017. Each has or will ship simultaneously on Windows, Mac OS X, and Linux. Kyle is available for interviews, podcasts, etc. You can reach him by email at [email protected] ([email protected]) or on Twitter at @PirateHearts.